Description: a reddish/orange dappled cat with sharp green eyes and a long tail. Personality: a kind-hearted cat, but defensive to her clan. She is extremely loyal, and loves kits. She is fully committed to leader after her mate died. Clever and spontaneous, she is a great leader. History: She was born as a rouge, found by a young apprentice. 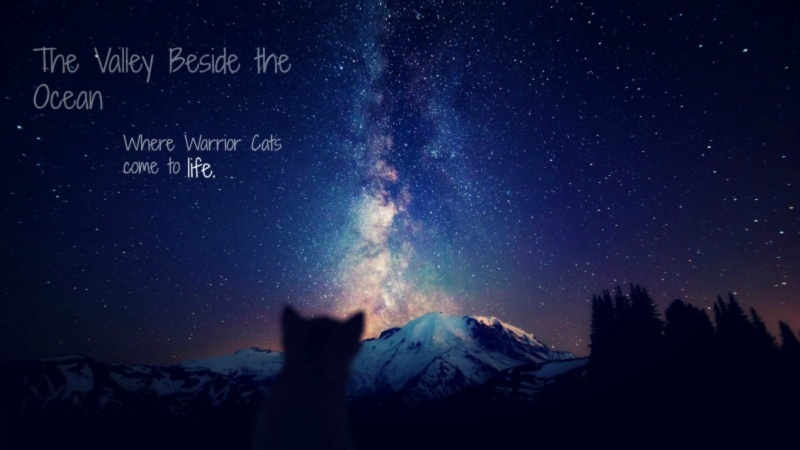 She was doubted to be anything near a good warrior, so she became a medicine cat. She hated it, but it would be awkward to become a warrior after all her work. When she got her name, she saw an apprentice deeply interested in being a medicine cat. So, Reedpaw(now Reedshine) left to be a warrior and the apprentice was taught instead. She was doubted agian, but quickly became a skilled warrior, a wonderful hunter, and a deadly fighter. She killed a dog to save 3 apprentices. One day she met a cat name Eeltail, a jet black tom. She had three kits with him. They where Chancekit, Featherkit, and Blackkit. They all died in a fox attack, leaving Reedshine shocked. She was expecting again with Eeltail, but he died. She didn't eat enough, so all the kits but one died. Her name was Duckkit. She became Duckfeather. Reedshine became commited to her work, finding it easier to deal with the pain. This is a great audition! Just add a bit more detail to the appearance and it would be nice to change the name. It's not bad or anything, but there is a clan called Reedclan. Also, add how she became deputy and leader. You need to add running, herbs and memory to skills.